And then we came up to a fish head that was not showing that glassy eye that dead fish show, because it was still breathing. Just a head, with the gills going in and out. Now, up to now I had been thinking that these fish had been eaten the previous night. I don’t know why I thought that, but somehow it seemed more in keeping with the shark demeanor for it to be hunting along in the darkness. Yet, here was this live fish head at 8:00 a.m. Picture the water below the boat, about 10 feet deep, with feeding sharks maybe a couple feet from you down below. How big are they? Who knows? The biggest one I know of from near here was caught around Henderson a couple years ago and it was a six footer. Even though there has never been a reported attack in the Basin, these are not small fish. On another shark tack, some of you know that I do a type of archaeology that involves identifying animal bone (non human) from Native American sites in Louisiana. The last site that I did an analysis for was one that is in what is now St. Mary Parish, near Patterson. The bone from this site contained two shark teeth from the same species that we get in the river every year – the bull shark (Carcharhinus leucus). 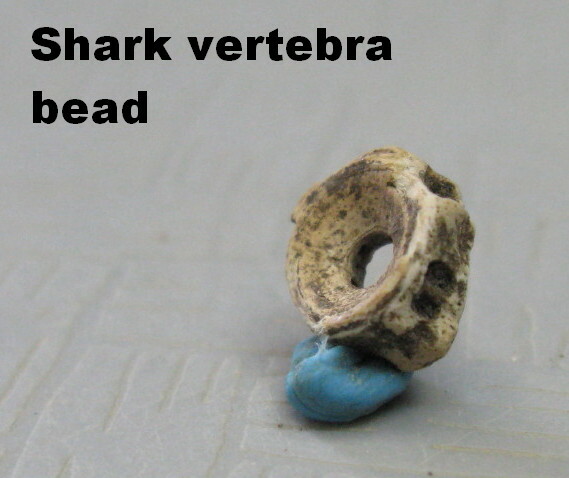 And also within the bone sample was a single shark vertebra. There was a hole drilled in the center of the vertebra, probably to allow a series of similar ones to be strung together like beads, perhaps as ornamentation of some kind. 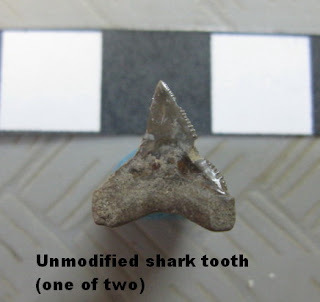 Anyway, these discoveries suggest that Native Americans in south Louisiana were making use of sharks in the lower Atchafalaya Basin 1400 years ago. As a matter of fact, I would imagine they were much more aware of the sharks than we are today, even though the fish have been annual visitors to the waters of the Atchafalaya Basin ever since, and the number of people who might observe them has multiplied many times. I guess we just don't need to know, so we don't. The river gauge at Butte La Rose reads 14.3 feet today, and will remain about 14 feet for at least the next seven days. Very high water for this time of year, and the crawfishermen are loving it. Amazing numbers of trucks and boat trailers at the Myettte Point landing, most of them from Catahoula it seems. He's B-A-C-K!!! What a nice surprise. Now I'm a little homesick for the basin. I never knew about the sharks. Currently I'm at National Bison Range and not getting to paddle - but still managing to have a great time. Welcome back Jim! As always, thanks for the great information. I had no idea bull sharks were regular visitors in the Basin- much less historically! Thanks for the kind words, both of you. Marilyn, what are you doing at the NBR? and Pudd, glad I could help you to some more dubiously useful information. I'm doing my usualy volunteer work. Specificially I'm working in the Visitor Center, running a bee survey with the Montana CC kids, helping with invasvive battles, and working on the Talk-to-a-Biologist project. Plus lots of little jobs. Glad to hear what's going on in the Basin again! Had no idea sharks came up there! yes, having a good summer. And so are the sharks, I imagine. Good to hear from you. What a delight to find you here, and what an interesting post. The fellows who hold forth on Houston's weekend early morning outdoor show have been talking about the huge number of sharks around this year - blacktip, nurse, sand. More than a few wade fishermen have been surprised by visitors, apparently. Oh - and there was one story told of a kayaker who was rolled. He had a stainless steel stringer, and when the shark latched on, he wasn't able to get the fish as easily as he'd hoped. So, he pulled! The other big news at this end of summer is the sense of normalcy. The love bugs are back, and the jellies. The glass minnows make it sound like rain every night, and the shrimp are so active they're landing on the docks at marinas. 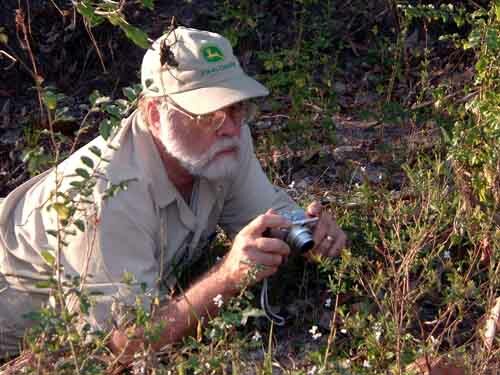 The world's wonderful, indeed - just like finding your post. Thanks for the comment and the information about sharks in your area. That kayaker must have had an interesting few moments. Just found your blog and have been reading non-stop. I especially like your stories from when you were fishing commercially. I'm planning a canoe trip from Old River to Morgan City this fall and the blog has been inspirational. Hi Thomas. Glad you like what you see in the blog postings. Best of luck with your canoe trip. Wish I was going with you! I'm having trouble commenting, I keep getting error responses, so I apologize if there ends up being multiple submissions. I am performing a literature review and I would like to document and preserve your entire blog in a local university library. Would you please grant me permission. You can contact me at Lindsey_Lewis@fws.gov if you would like to discuss in further detail. Thanks. I am performing a literature review and I would like to document and preserve your entire blog in a local university library. Would you please grant me permission? You can contact me at Lindsey_Lewis@fws.gov if you would like to discuss in further detail. Look forward to hearing from you. Thanks.